We’ve all heard the stories, either in books or movies, maybe even from friends. But make sure you get professional advice before you believe them. We’re talking about divorce myths. They’re common and there are a lot of them. In fact, many people start making decisions about their divorce based on these misconceptions much to their detriment. It’s not unusual, because we don’t know what we don’t know. And anecdotal stories and the entertainment media contribute to spreading this misinformation. 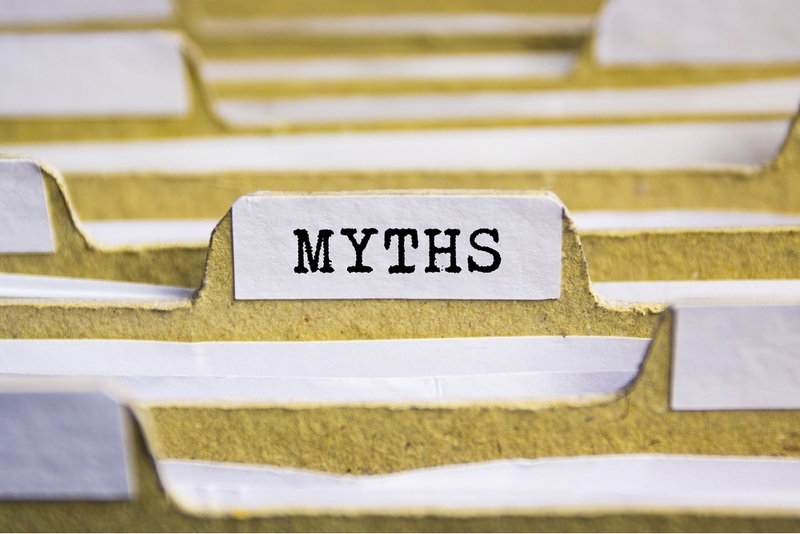 First, we’ll take a look at three common divorce myths and the truth behind them. Then we’ll discuss what you can do to protect yourself and your assets. This is one of the most common myths concerning property and divorce. And it’s complicated. Generally, if you bought a property when you were single, you stand a good chance of keeping it as your own. Especially if you both signed a marriage contract or other legal contract which details what each person is entitled to in the event of a divorce. But there are several caveats: first, it depends on your jurisdiction and second, if you added your spouse as co-owner, then the house is now considered marital property. It’s not uncommon to add a spouse as a co-owner when refinancing the mortgage to reduce the interest rate or from a cash-out refinance loan. Other instances include adding a disabled spouse as an owner in order to get the property taxes reduced with a disability exemption. Once we start talking about community property, then there are even more considerations. If your spouse spent money earned during the marriage on maintaining or upgrading the home, then the increase in its value may also become community property. If the house is now used a rental, then the rental income may become a marital asset as well. A good rule of thumb is that separate property that has been used for marital purposes can be considered marital property. If you sold a property which you owned solely and then made a purchase for something used during the marriage, then that too can become community property. That’s why it’s key to consult a professional. This is a complicated situation with many nuances and relying on a misinformation can lead to dire financial consequences. A divorce involves deciding how to divide family property as part of the settlement. Normally, this means the house, vehicles, bank accounts, and other property. It also applies to the value and future payouts in any pension funds. Unfortunately, many people believe that their pensions are personal property and belong solely to them. This myth can be costly if you go the do-it-yourself route with your divorce. A true pension fund (also known as a defined benefit plan or DBP) is controlled and funded by an individual’s employer and pays out upon retirement either in the form of a lump sum or a lifetime monthly income payment. This type of plan differs from a defined contribution plan (also known as a qualified retirement plan 401K, 403B, 457). The DBP has value now, even though the employee won’t see any money until he or she retires. That means that the employee’s spouse is entitled to a portion of the value of the plan which is normally just the portion earned during the marriage. An actuary may be needed to determine the value of the defined benefit plan but usually a Certified Divorce Financial Analyst® (CDFA) is equipped to provide this analysis. This is an area where you definitely don’t want to be short-changed because the effects can last a lifetime. Keep in mind, just because you contributed to your employer’s qualified retirement plan or have a defined benefit pension plan doesn’t mean that your spouse isn’t also entitled to a portion. It depends on several factors. In most cases, it’s true that an inheritance is considered personal, not marital, property. However, if you deposited your inheritance into a joint account shared with your spouse, then the money becomes community property and is eligible for division during a divorce. You can usually keep inheritances and personal savings acquired prior to the marriage even in community property states. Provided that this property remained in your name only and wasn’t commingled with marital assets. Once the inheritance funds are mixed with marital accounts or assets, they’ll most likely be split in the divorce. These are all situations which vary based on jurisdiction. Consulting an attorney is an important first step. There are many aspects to negotiating a divorce agreement and dealing with issues such as child support, alimony, and custody of minor children. It’s usually not a good case to try to handle your divorce yourself, except in the briefest of marriages and which doesn’t involve any of the aforementioned situations. Consider hiring a Certified Divorce Financial Analyst® (CDFA) as part of your divorce team. A CDFA has extensive knowledge related to equitable asset distribution, tax law, and short-term and long-term financial planning. These professionals not only provide you with a clear picture of your finances but can also advise you on the tax implications of your settlement. These professionals can also help you create a post-divorce budget which will cover your family’s needs. Consulting a CFDA can be a sound investment when you consider how much you can lose when relying on the wrong information. As you can see, there are many variables in the situations we discussed. That’s why it’s crucial to rely on a professional instead of these pervasive myths about divorce. It can be costly in the short-term and detrimental to your long-term financial situation to forego the advice of someone trained in examining issues such as personal vs. joint property, inheritances, and pensions. Fortunately, there are experienced professionals such as certified financial divorce analysts which can provide knowledge and assistance in dealing with each of these circumstances. Don’t let these three common myths derail your financial future.